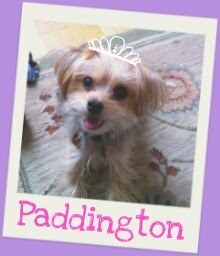 Barkzilla: A Savvy NYC Dog Blog: theBalm to the Rescue! 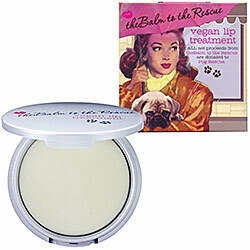 Even though we rarely need a reason to invest in beauty products, theBalm's Vegan Lip Treatment is a must for soft, kissable lips and has the added bonus of helping pugs in need! Inspired by the amazing bond she has with her own dogs (specifically two pugs-- Wheezie and Buddy, theBalm's Chief Pet Officer and Pet President respectively), the company's founder Marissa Shipman created this product to help give back. All of the net proceeds go to Pug Rescue which helps save pugs from being euthanized and find them happy forever homes. If that wasn't reason enough to head over to Sephora.com ASAP, theBalm's Lip Treatment is also vegan and contains jojoba and shea butter to leave lips looking and feeling their best. Learn more about theBalm's commitment to animals here. Available from Sephora.com, $17 for 0.25 ozs.